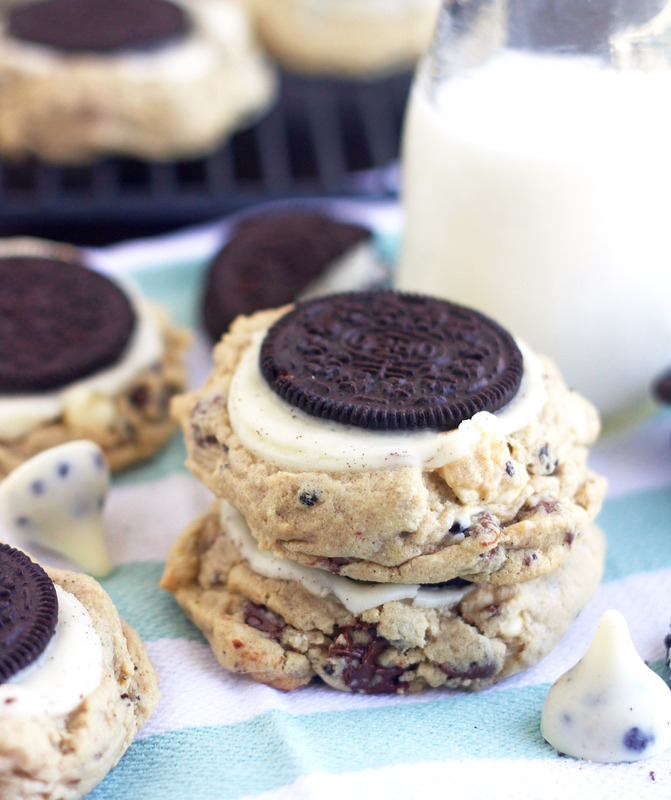 These Outrageous Cookies & Cream Cookies are just that. . . . completely OUTRAGEOUS! Loaded with white chocolate chips, semi sweet chocolate chips, cookies & cream kisses and then sandwiched between a Double Stuff Oreo. They’re ridiculously good! 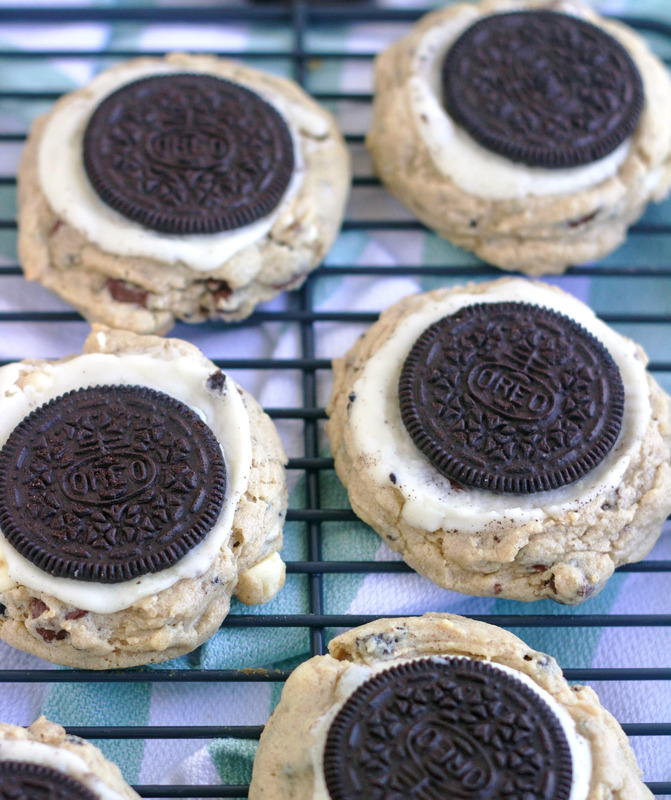 I think these Outrageous Cookies & Cream Cookies left every single one of us speechless. I had no doubts about them being good, but they completely blew me away. They blew all of us away. My boys basically didn’t come up for air as they shoveled them into their mouths. I put these cookies on my Instagram story the day I made them and later that night a few of Zach’s friends were at my front door wanting one (or three) cookies. 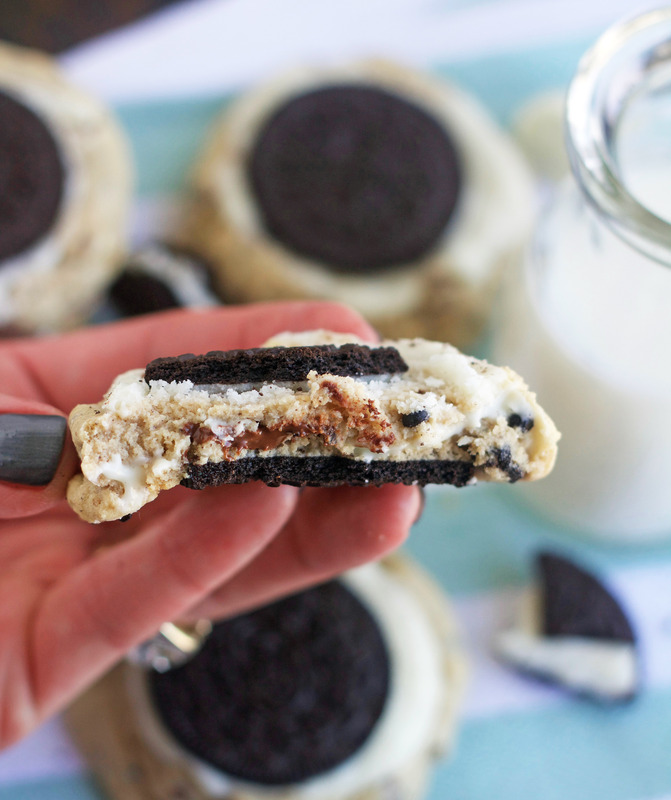 Chocolate chip cookies with an Oreo stuffed in the middle have been all over the web for years, but Shelly over at Cookies & Cups is completely brilliant and on a whim, decided to make Oreo stuffed cookies backwards. Let me be the first to tell you it totally works, and when she said her quick cookie experiment turned into a freaking delicious cookie accident, she wasn’t lying!!! I mean come on. . . . does that just not look amazing? You guys, it’s a chocolate chip cookie loaded with white, milk and semi sweet chocolate chips and chopped up Hershey’s Cookies & Cream Kisses stuffed between a Double Stuf Oreo. 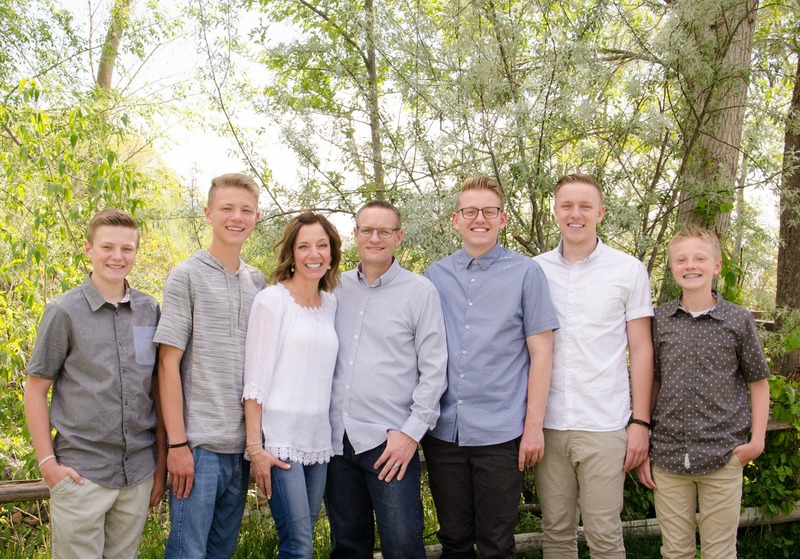 You’d have to be crazy not to love these. I added some chopped up Hershey’s Cookies & Cream Kisses to my cookie dough, which I have to say was a brilliant idea. Preheat oven to 350°F. Line a baking sheet with parchment paper or silpat liner. In the bowl of your stand mixer fitted, cream the butter, brown sugar and sugar until light and fluffy, about 3 minutes. Add in the dry pudding mix and mix for another minute. Add eggs, vanilla, baking soda, and salt and mix until combined. Add flour and mix on low speed, just until combined. Add the chocolate chips and chopped Hershey's kisses and mix on low until combined. Carefully separate each Oreo cookie into 2 cookies (try your best to keep the filling on one of the sides, but it's ok if they're not perfect). Using a large cookie scoop, scoop out balls of dough, about 3 tablespoons in size. Place the dough ball on top of the Oreo half with no filling (or the least amount of filling), then place the other half of the Oreo (the half with all or most of the filling) on top of the dough ball. Place on your prepared baking sheet 2- inches apart. Bake for 10 minutes, or until the edges are lightly golden. Once they come out of the oven, gently press down on the Oreo to get the filling to ooze out a little. Allow the cookies to cool on the baking sheet for 2-3 minutes before transferring them to a wire rack to cool completely. Try not to devour the entire batch.